With fall just around the corner, I wanted to get in the spirit with a little fall decor. 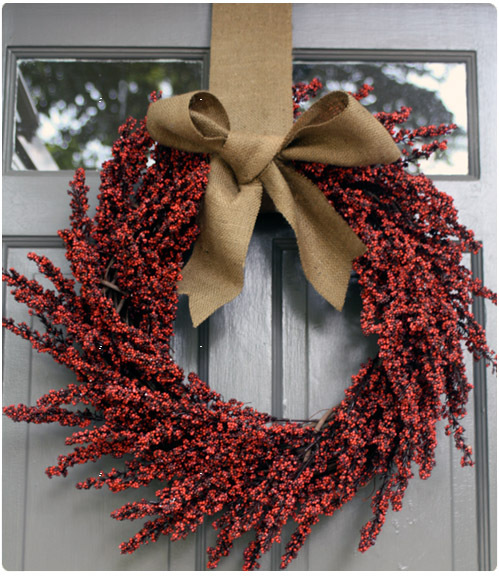 Last year I made a super easy faux berry door wreath that I loved. This year I wanted something new but with a newborn, I barely have time to shower much less spend time making a new wreath. However, while cruising Jo Ann Fabrics for some baby-related items the other day I was conned into a wreath revamp by a sale on faux florals. 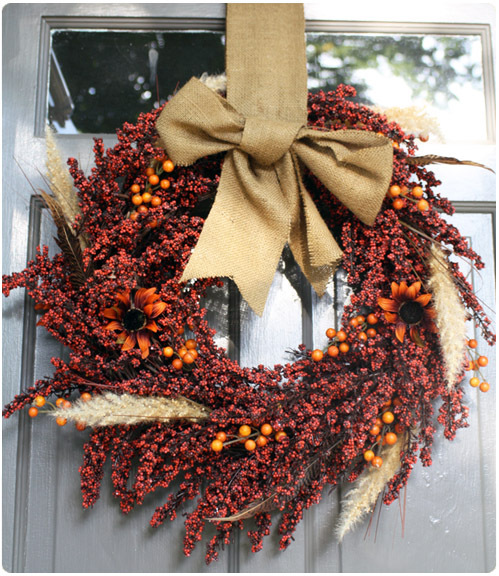 I added some bright orange berries, wheat, burnt orange flowers and a few feathers to give last year’s wreath a little makeover in just a few minutes. What do you think? Which version do you like? looks great! i really need to get some fall decorations. xoxo jillian:: celebrate cornflake dreams’ first birthday with a month of giveaways! p.s. the baby is a thumbs up too!